Recently IDC released an annual report concerning smartphone shipments in 2016. According to it, Chinese smartphone shipments increased by 8.7%, which is the way higher if compared with the same indicator for 2015 (1.6%). This sounds quite promising. But when looking at the data we can see Xiaomi has sold only 41.5 million units in 2016, while it was 64.9 million in 2015. As for 2017, all experts have calculated Xiaomi should sell about 70 million units. To implement this plan the Chinese manufacturer has to solve the problem related to the production capacity and come in with attractive and competitive devices. Seems the first step has been done when the company launched the Xiaomi Redmi Note 4X at the beginning of 2017. The latter was designed for a mid-range market, while the Xiaomi Redmi 4X is Xiaomi’s warrior in the low-end segment. So the only gap has been left in the high-end market. We have heard the manufacturer will unleash its new-gen flagship in March-April period. And it happened. The Xiaomi Mi 6 has been officially announced. But as it always happens with Xiaomi’s flagships, not everything was accepted unequivocally. Though it requires more time to test and realize what enhancements have been made in this phone in comparison to the previous version, we decided to come in with a quick review. Currently, we notice a trend concerning colorful bodies of flagship devices. Say, recently the Huawei P10 was launched and it came in up to 8 color options including the greenery variant. Apart of this, the Oppo R9S has got a new color – green. So we can conclude Chinese smartphone makers will add more colors to their palette. 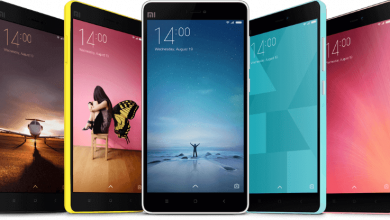 But what about the Xiaomi Mi line handsets? I mean the Mi 5 came with a ceramic body, and people loved it. So if the manufacturer didn’t use this material for the Mi 6, the latter should fail. On the other hand, ceramic housing can’t get any color the manufacturers want. It should be either black or white. Fortunately, the Xiaomi Mi 6 comes with a ceramic housing as well as glass body. Plus, there are four options you can choose from – black, white, blue and silver. The latter will be produced in limited number. But I guess it will be the most demanded version. Anyway, the Xiaomi Mi 6 has a black color variant, which should be the most common model if taking into account this is not a bezel-less smartphone, and its owners would like to hide this ‘defect’. As you can see, the black variant looks quite attractive and it is in a good combination with the stainless steel frame. The smartphone maker has made a few changes in comparison to the Xiaomi Mi 5. So it’s better to get acquainted with them. First, the Home button works identical to the iPhone 7 Plus and Huawei P10. Honestly, I don’t know whether there is a change in its work, but I guess it’s been done to make the phone splash proof. This may sound unimportant, but all top brand flagships have this feature. So the Xiaomi Mi 6 should have it as well. This is the main reason why the manufacturer has also removed the 3.5mm audio jack. As for fingerprint scanner, it’s located under the home button, but unlike the Mi 5S, which uses an ultrasonic fingerprint identification, this one has no such feature. Two speakers with a USB Type-C port in the middle are located on the bottom. A noise reduction microphone and infrared emitter are placed on the top. The SIM card slot is on the left. The power button along with the volume rocker is on the right. The back of the phone comes with a four-sided curved design like the Vivo Xplay6 that makes the phone great in terms of ergonomics as well as appearance. Plus, the phone uses 18K gold-plated decoration around the lens like the Xiaomi Mi MIX. At last, the phone comes with dimensions of 145.17 × 70.49 × 7.45 mm and weighs 168 grans. The ceramic variant weighs 182 grams. The Xiaomi Mi 6 sports a 5.15-inch display at a Full HD resolution and 428ppi pixel density. But saying this means we don’t say anything about this screen. The technology the screen comes with is conditionally called ‘Night Eye’. 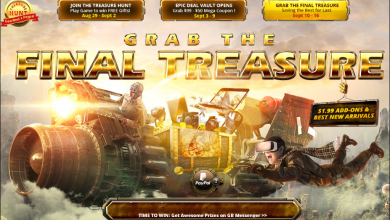 But to explore why it has got such a title we have to dig deeper. According to the official announcement, the Xiaomi Mi 6’s screen uses a special optimization for night time viewing. Thanks to that technology the phone reduces the blue radiation and it views true colors – NTSC high color saturation reached up to 94.4%. The highest brightness is 600 nits, while the lowest brightness is as low as 1 nit. Plus, the minimum brightness is reduced by 78% as well as there are 4096 smart backlight adjustment levels. Many may think this is not an important feature, because there are not too many people using their phones at night. But according to a research, 48.3% of all smartphone owners use their phones in the midnight. So if you are among those people, this phone is made for you. To understand what a screen we are talking about just remember there are 102 patents authorized for this display only. This is the first phone with Snapdragon 835 chip launched in China. Thus it’s packed with the latest creation of Qualcomm that can be found only on a couple of smartphones such as the Samsung Galaxy S8 and Sony Xperia XZ Premium. As it’ been rumored earlier, the Mi 6 comes with the full-blood variant. The Snapdragon 835 chip uses an octa-core design. It comes with a new semi-custom design Kryo 280 CPU core that uses ARM’s latest Cortex licensing agreement. Four cores run at a frequency of 2.45GHz, while the next bunch is clocked at 1.9GHz. It uses Samsung’s 10nm technology process. The chip also uses Adreno 540 GPU, which provides great performance increased by 25% in comparison to the previous-gen graphics. It supports 4K screen, UFS 2.1, dual camera, LPDDR4X quad-channel memory, and integrated Cat.16 baseband. To find out whether this is the chip we have dreamed all the time we put it into a dozen tests. As the first test showed, the Xiaomi Mi 6 with its Snapdragon 835 chip will work between 60%-100%. But it reaches 100% only when an actual task requires it. As for the rest of the time, it will work at 50%-60%. 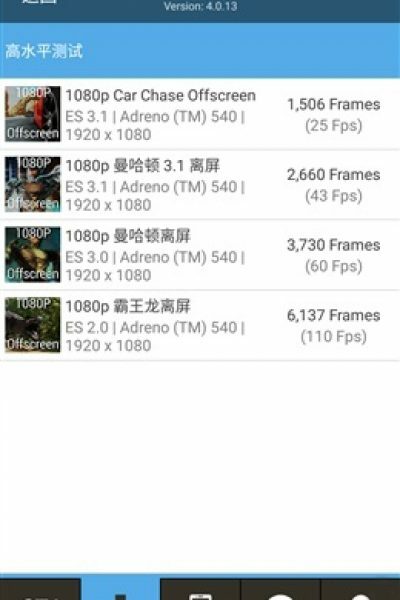 As for AnTuTu results, Xiaomi announced its beast had scored 184.292 points. This means it outruns the top brands in face of the Galaxy S8 (164095 points) and iPhone 7 Plus (173100 points). But you know benchmark results is a matter of different factors. I mean when we were testing the Mi 6, it scored 175.041. We tested it once again and it scored 181.118 points. This is the highest results we reached. Therefore, we will take it when comparing with other models. Say, it yields only the iPhone 7 Plus and its A10 Fusion chip that scores 184.546. Thus the Xiaomi Mi 6 provides almost the same performance as the Apple iPhone 7 Plus. 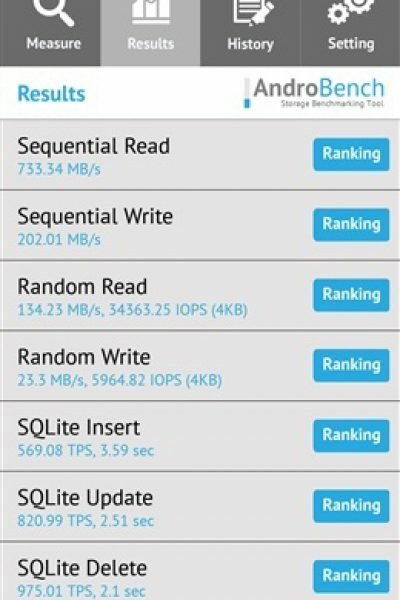 It’s been also tested via GeekBench CPU test. In comparison to the Snapdragon 821, the Snapdragon 835’s improvement is obvious. As the GFXBench GPU test shows, the Mi 6 will have no problem with any size 3D games. 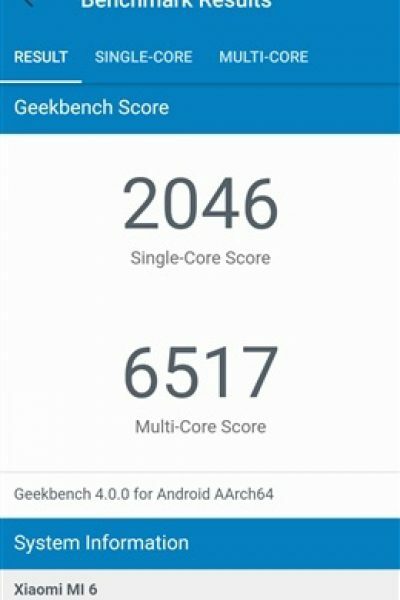 AndroBench storage performance test shows the Xiaomi Mi 6 is a head higher than its competitors. PCMark test showcases the Mi 6 is on the first position even outrunning the Sony Xperia XZ. The phone supports 4G LTE, undoubtedly. But there are other connectivity options caught our eyes as well. Say, it comes with a Bluetooth 5.0 as well as NFC support. It uses a new-gen NXP PN80T chip with a new architecture design. Compared to the previous generation of communication the capacity has been increased by 50%, while the transaction speed has been increased by 30%. Thus we are dealing with a ‘multi-functional NFC’. 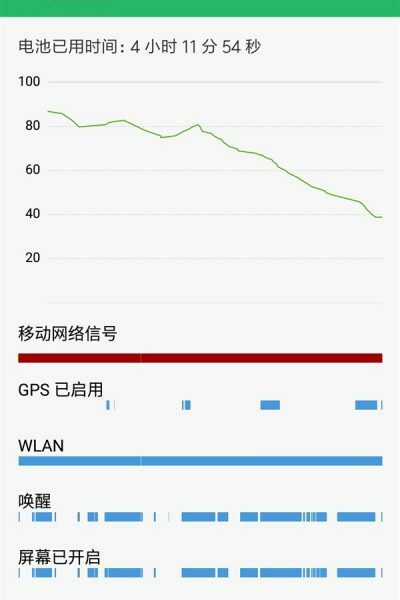 There is also a 2×2 MU-MIMO 802.11ac Wi-Fi support. The fingerprint identification located under the home button fully supports AliPay and WeChat. life. The charger uses a high-pass QC 3.0 standard as well as supports fast charge technology (9V / 2A, 12V / 1.5A). Thanks to 18W fast charge functionality it will fully charge in 90 minutes. When testing this battery it dropped from 81% of the electricity down to 35% in 4 hours and 11 minutes. The average power consumption for an hour is about 11%. As for heating, the phone’s temperature reached 49 degrees when it was fully loaded. Thus when you run heavy apps and games, you will feel when it gets warmer. Lockscreen supports dynamic color changes, which offers various color combination from different viewing angles. Sway left & dynamic weather panel supporting GPS & temperature update swings in & when swayed right, music panel will fly in. Tap the weather panel & it spins into 3D color changing dynamic weather panel. Global and China ROM both support this theme. We have already managed to get acquainted with the camera features of the Xiaomi Mi 6. We said it is too close to the capturing performance provided by the iPhone 7 Plus and maybe it’s better than it. This phone sports a dual-camera featuring Sony IMX386 + Samsung S5K3M3 sensors. 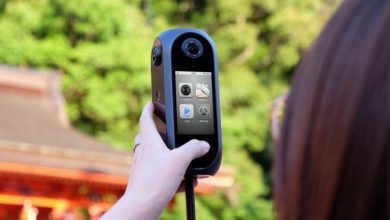 The 12MP wide-angle lens + 12MP telephoto lens camera supports 2x optical zoom as well as 4-axis OIS, which uses the internal gyroscope and acceleration sensor, high-speed detection of jitter’s 8 directions, micro-motor to adjust the attitude in a real-time drive, and compensation jitter. Thanks to dual-camera the SLR-like background blurring works perfectly. As you can see the main and the background border is obvious. Thus the 3D effect feeling is very strong. Finally, there is an 8MP camera on front sporting Sony’s IMX268 sensor and supporting Smart Beauty 3.0 app. The latter has up to 36 functions able to identify people’s age and gender adjusting a certain skin effect. The Xiaomi Mi 6 comes in different memory combinations. The Xiaomi Mi 6 price starts at 2499 Yuan ($363) for the 6GB + 64GB model while the 6GB + 128GB version costs 2899 Yuan ($421). The special 6GB + 128GB ceramic edition which is available only in black is priced at 2999 yuan ($435). The Mi 6 will go up for sale in China on April 28 at 10 AM (GMT +8). 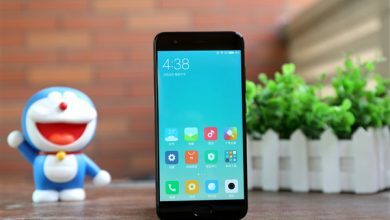 As we can judge from the screenshots, the Xiaomi Mi 6 has won many experts’ hearts. As Forbes, GSMArena, Ars, and other media say, the Mi 6 comes with at least one selling point of Snapdragon 835 that is capable of providing great performance. But it costs half the price of the Samsung Galaxy S8 and iPhone 7 Plus. This is the most powerful Mi smartphone. It’s also the first phone from this line that is splash proof. But this is not the key feature of the Xiaomi Mi 6. The selling points of this device are going to be the Qualcomm Snapdragon 835 chip. Thus if you want to acquire the fastest smartphone in the globe, you should get your hands on this model. On one hand, with the launch of the Xiaomi Mi 6, we give a farewell to a whole era of budget-friendly flagships. But on the other hand, there are many features making this phone priced more than its predecessors. I am talking about the new technology of the screen, larger memory sets, ceramic and glass housing, dual-camera and so on. Chuwi Lapbook 12.3 To Release At the End of April - Chuwi's Best at Global Sources Mobile Electronics! Could you upload pictures in full-res? Moreover, Xiaomi NEVER mention any IPxy class. Where did you get the IP68 data?